Central Pneumatic Garage Air Kit (#66747) - Rat Rods Rule / Undead Sleds - Hot Rods, Rat Rods, Beaters & Bikes... since 2007! I needed to plumb my shop for air, as I was tired of having a mess of air hoses all over the shop. 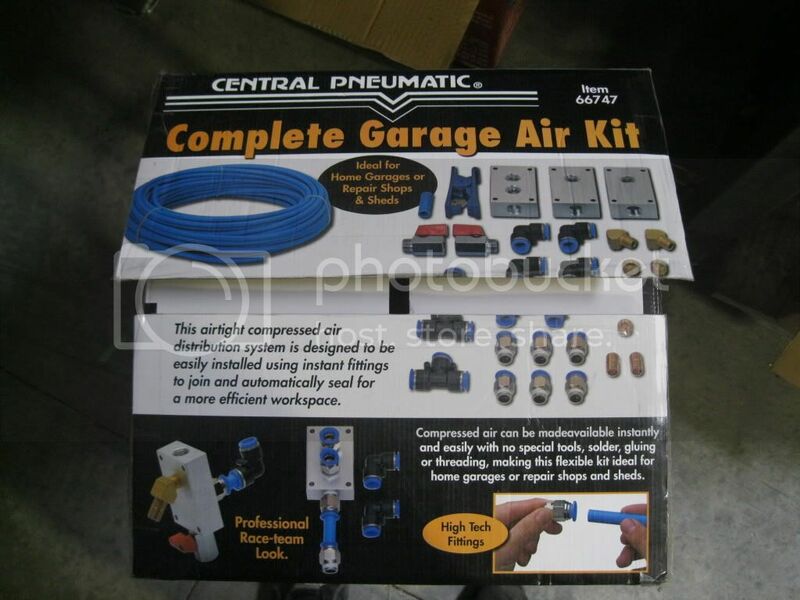 I came across a a Central Pneumatic Garage Air Kit at my local Harbor Freight store (part number 66747) and decided to buy it. It's usually a $100 item, but it was on sale at $54.99 and I had a 20% off coupon. It ended up being about $47 out the door. It is very very similar to the Rapid Air kit that sells for three times the price. It comes with 100' of 1/2" O.D., 3/8" I.D. tubing and all the fittings in the pictures. I had the quick connect. It wasn't included in the kit. Well, I went ahead an installed it. It went together in a few hours. The biggest problem was uncoiling the hose, but I managed to get it done. I put the kit together in a few hours, but I've spent the last three days trying to fix all the leaks. EVERY CONNECTION IN THIS KIT LEAKS! I got the leaks down to a "managable" amount, such that my 60 gallon tank would go from 130 psi down to about 30 psi in 24 hours. Well, today I went to use it and a quick connect fitting popped out and drained the tank in a couple of minutes. The slightest (and I mean SLIGHTEST) movement at a quick-connect fitting can fix or create a massive leak. This kit is the finickiest thing I've ever bought. Harbor Freight has a lot of good stuff, but this kit is a total piece of crap! It is coming down tomorrow and it will go back to the store. DON'T WASTE YOUR MONEY. STAY AWAY!! Thanks for the heads up, that's one hell of a nice shop you got there. 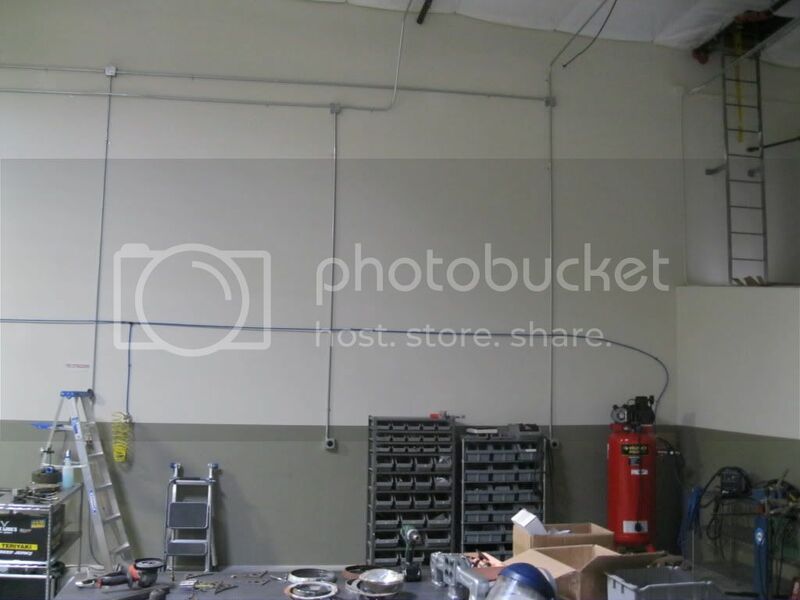 When we did our shop we had read so much about pvc tubing having problems that we went with galvanized pipe instead. There have been cases of the pvc exploding and sending shrapnel flying clear across the garage, and in some cases injuring someone. I know there will be people on both sides of the debate on this one, but we just weren't taking that chance. I used 1/2 inch pipe, years ago, and it still works great. 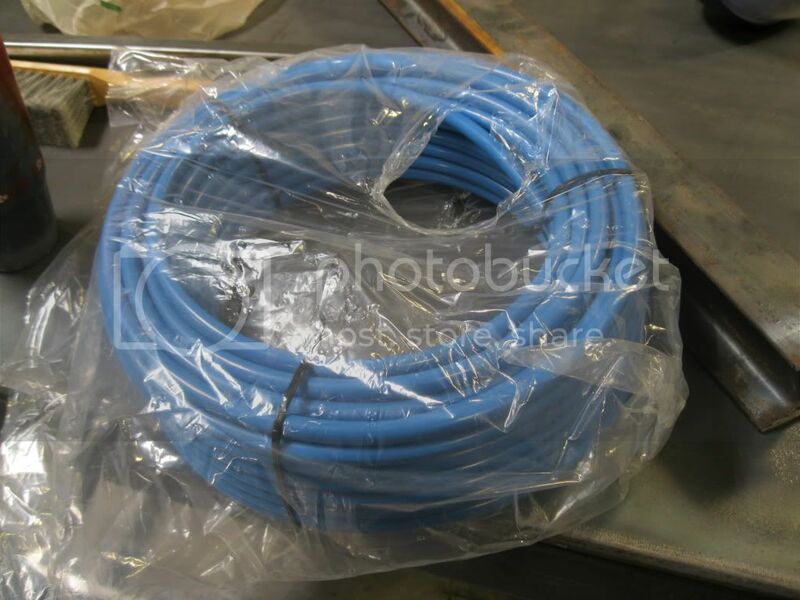 Use PEX tubing (water or heating) works great and you can get it in 1/2"-1 1/4". I used crimp fittings, but there are sharkbite press fitting that actually work very well. 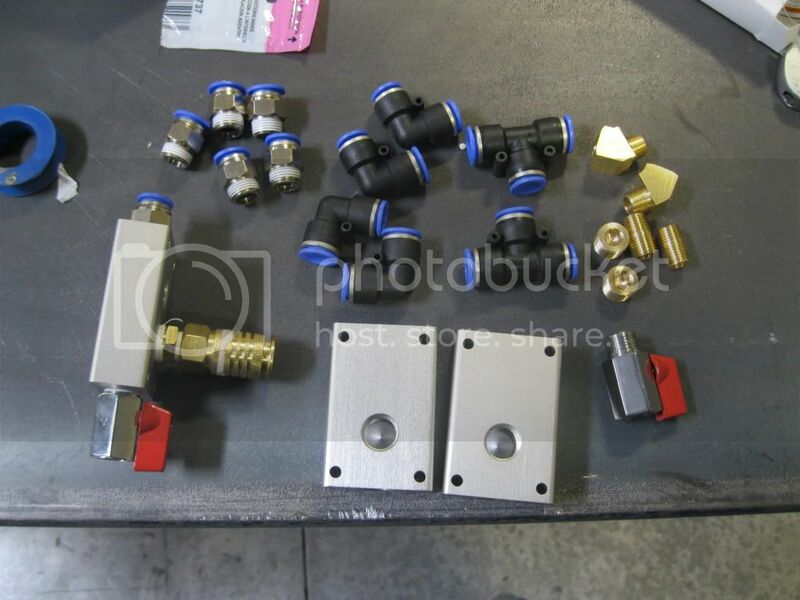 Much better than some of the plastic line air kits I've seen. I was really considering one of those kits....thanks for the heads up. I think I'll just use pipe. 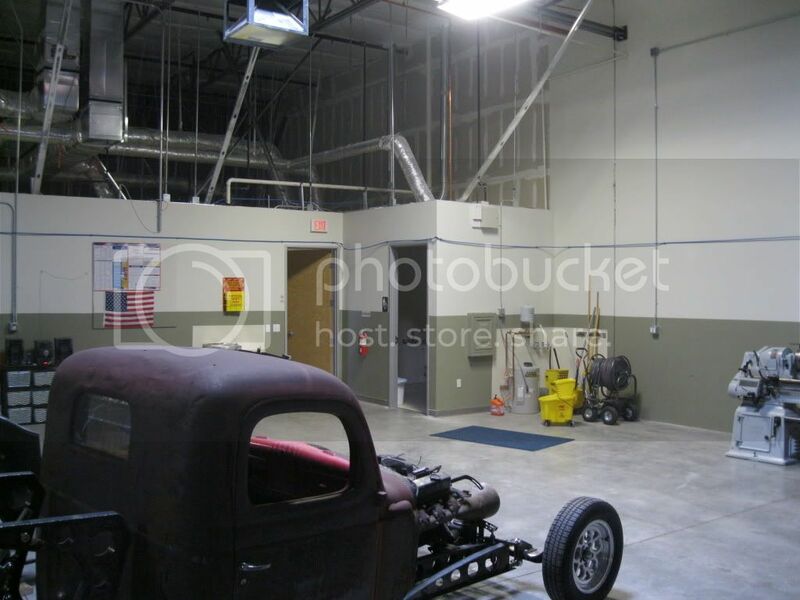 I just have a 2 car garage, but I want air at all the walls, the roll up doors, and a couple outside. I use soldered copper pipe in my shop. I also put a moisture P type trap every 15' or so. I can go to any point and drain any moisture out of it. But, I now have driers. Commercial shop should not use PVC. Home shop it will last forever, and as long as you don't get over 139 psi you are good to go. Have a similar kit in my shop for a couple of years and even through our winters it's held up fine.